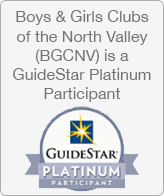 Thank you for considering a contribution to the Boys & Girls Clubs of the North Valley (BGCNV). The following is a general list of the many ways to get involved with our organization and the ten Clubs we operate. Please click on the links provided for more information about each. Making a cash donation is the best way you can support our mission and ensure that our programs and services are available to more than 2000 youth that need us most each day in the Butte and Glenn County region. Rashell Brobst or Jessica Booth at (530) 899-0335. Are you 70 1/2 or older? You may qualify to avoid paying taxes on IRA distributions of up to $100,000 a year. This is one of many IRA solutions available to retirement investors. You can sustain or increase your giving to the charity you care most about while minimizing or negating taxes on your qualified accounts. However, if your required minimum distribution is above the $100,000 mark, with the help of a knowledgeable advisor, you can still utilize this opportunity for the first $100,000 and develop a strategy for the remainder. What does your will say about you? 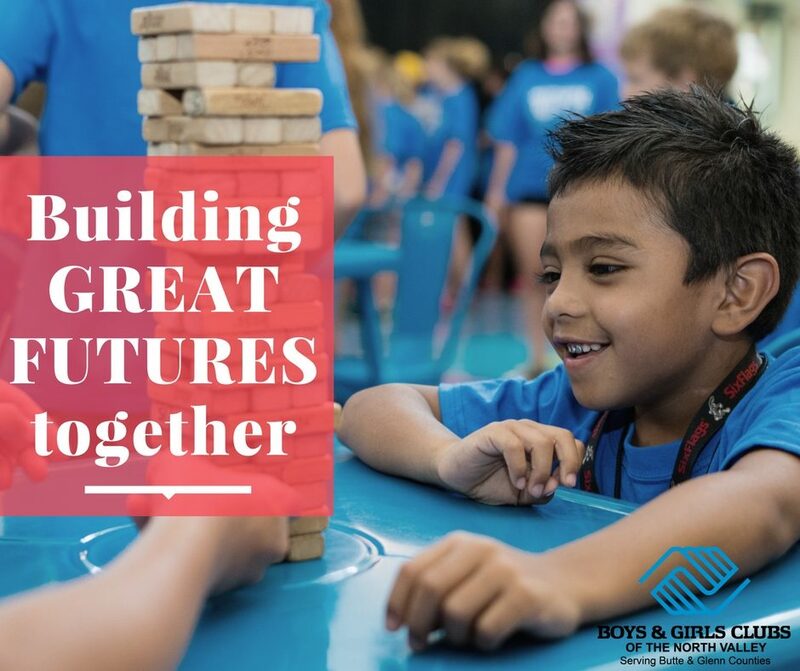 Please contact Rashell Brobst or Jessica Booth if you are interested in leaving a legacy gift to help local kids at the Boys & Girls Clubs of the North Valley. Each year we hold a number of fundraisers that directly help to raise around 15% of funds needed to support the programs and services of the Clubs in Chico, Hamilton City, Paradise, Oroville and Juvenile Hall. We need local business sponsors to partner with to meet our fund-raising and friend-raising goals. For a comprehensive list of our events, please click here. TILES: $1,000 – 75 large tiles available, 18”x18″ The patterned concrete walkway has tiles available in groups of four that are arranged prominently down the center of the path. Each tile will be diagonally inscribed with the donors’ personalized message. BRICKS: $100 – 832 available, 4”x8” traditional red bricks will line the walkway offering a perfect opportunity to leave your family’s legacy. Bricks and tiles can be used to memorialize or honor family or loved ones; advertise a business; honor a graduate; OR even to inspire generations to come by leaving a personal quote, saying or message. To sign up today, please click here. 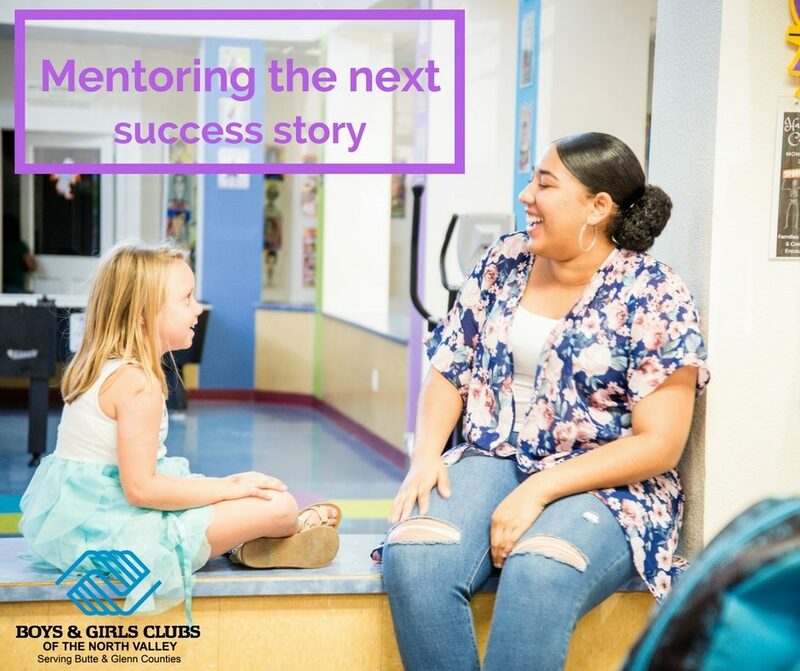 Boys & Girls Clubs of the North Valley welcomes individuals and businesses in the community who want to support our efforts through Volunteering. If you are interested in inspiring, motivating, and impacting the young people in our community, then the Boys & Girls Club is the place for you! Depending on your location we offer volunteer opportunities in Chico, Hamilton City, Paradise, Magalia, and Oroville in the areas of tutoring, mentoring, coaching, special events, programming assistance, administrative support and more! Click here for more information about the application process. For more information about the impact we are making locally check out our Annual Report and our financials. Sign up for our newsletter below to stay connected.